Holden Racing Team star Garth Tander says any negotiations happening behind the scenes have no impact on his and the team’s motivation to get the job done on-track. 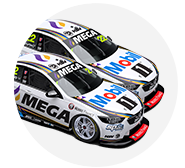 The HRT’s deal with manufacturer Holden is up at the end of this season, as are Tander and teammate James Courtney’s contracts to race for the official factory team. But Tander says that makes no difference as he aims for strong results this weekend at the WD-40 Phillip Island SuperSprint – the circuit where he won the V8 Supercars Championship back in 2007. He spoke to v8supercars.com early this week while he and Courtney caught up with Holden-sponsored Collingwood Football Club. “No, there’s no talk of pressure to get results because regardless of any contract situation, whether it’s current or up for renewal, that’s not what gives you the drive to succeed,” Tander said. “In motorsport we’re all driven individuals and regardless of whether you’re a driver or any member of the race team, you’re all driven to succeed because you want success, not because you want to keep your job. HRT boss Adrian Burgess admitted the team was unable to tune the package it brought to Tasmania, Tander emphasised he was able to creep closer to the front of the championship after recovering from a poor qualifying result on Sunday. While he sits seventh on the all-time most pole positions list, in recent years qualifying has been a weakness of Tander’s. Though it makes for great racing, as the tenacious driver often claws his way to the front with his take-no-prisoners style. He sits fifth in the standings, 56 points from leader Will Davison and just 17 behind 2015 champ Mark Winterbottom. 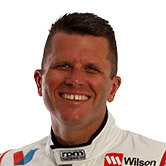 “Tassie, in the end, was fair,” Tander said of last round’s performance. “Qualifying wasn’t great but we got some results out of it. The aim is high for this weekend’s event with the new Saturday 120km race (including pit stop) – but this time, on the hard tyre. The soft Dunlop tyre is not used at the track for safety reasons. “We’re certainly hoping for a stronger performance, particularly in qualifying for Phillip Island,” Tander said. “I think it’ll be an interesting weekend, back on the hard tyre, so that’ll make it interesting. Tander won at the track in 2013 and was ever so close to the win in ’14, after his Commodore coughed on fuel on the last corner and allowed Scott McLaughlin through for a Volvo victory. The team unveiled its annual ANZAC livery to be run at Phillip Island.